Organization is on everybody's mind this time of year (and everbody's blogging about it.) 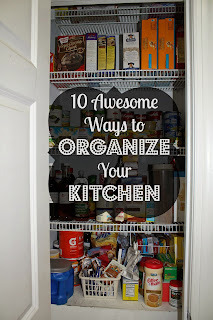 Getting organized is often a top resolution of many so I'm taking this month for Must Do Mondays to share some ways to get organized, room by room, starting with the kitchen. Isn't that where we spend most of our time? An orderly kitchen can make meal prep go so much faster and easier. 1. If you want to DIY, build a cabinet mount storage rack for your cutting boards (instructions at familyhandyman.com) or maybe mount a ready made magizine rack or file holder. 2. Use a magazine rack to mount pot lids. 3. Use magazine holders to hold those awkward rolls of foil, plastic and wax paper. 4. Use magazine holders to hold produce and make counter space. 5. 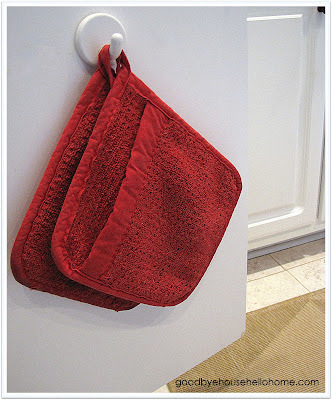 Attach cork board to a cabinet door and hang measuring spoons and cups. 6. Paint a cabinet door with chalkboard paint and add hooks to hold measuring cups and spoons and label them. 7. 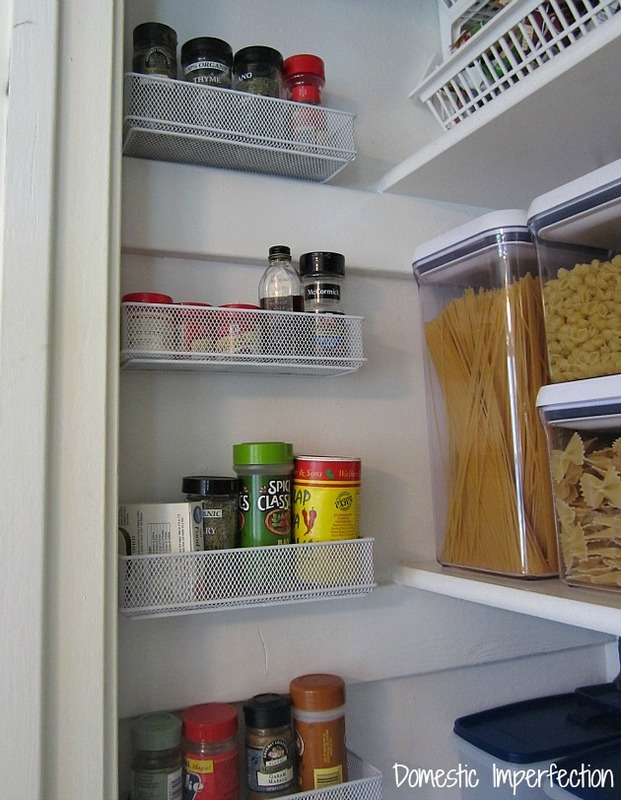 Use wire baskets to hold spices on the narrow end of your pantry. 8. 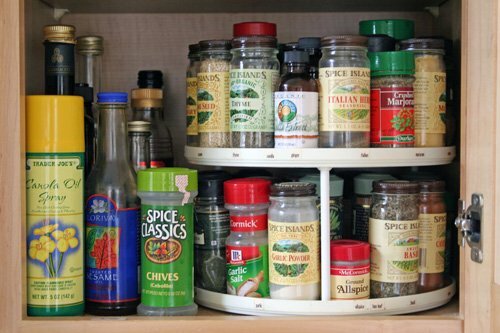 Use a lazy susan to organize spices. 9. 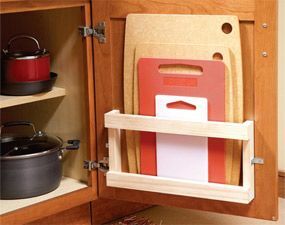 Hang pot holders inside a cabinet door to save drawer space. 10. 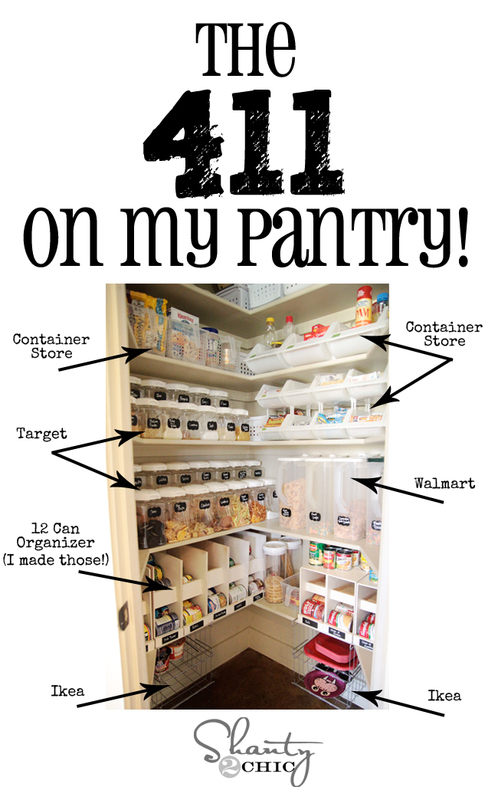 Use similar containers and baskets with labels to organize the pantry. 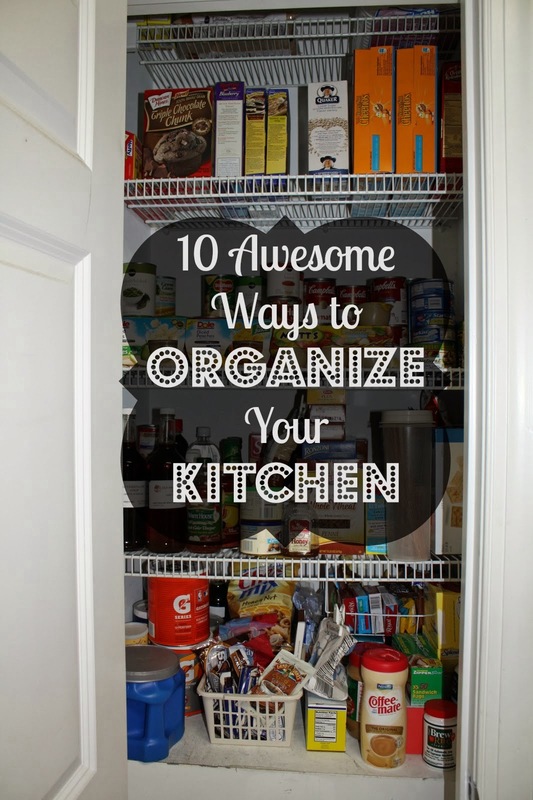 Hopes this helps jump start your kitchen organizing. These are all fabulous but the cutting board idea really caught my attention. Pinning now for my hubby's 'to-do' list. Thanks for sharing! Glad you found something useful. Thanks for stopping by! These are great ideas! I just moved into a new home and going from a house to an apartment int he city is quite a challenge to get everything to fit! I'll be putting some of these on my husbands list :) Thanks for sharing- following on facebook and twitter!